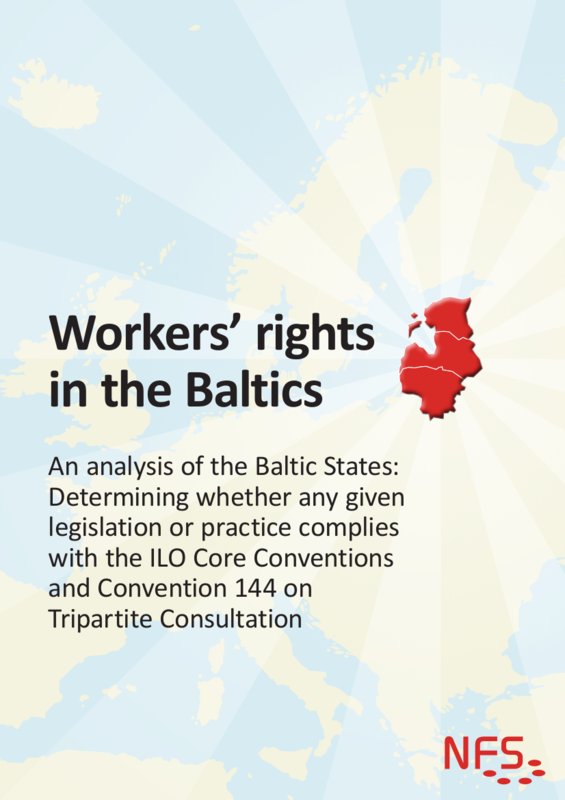 How can Baltic trade unions use the international labour standards and the ILO supervisory machinery? This was the main question being answered at the training for Baltic trade union leaders and lawyers in Vilnius last week. The training was organized by the Pan European Regional structure of the International Trade Union Confederation in cooperation with ILO and the Workers Bureau AKTRAV. It was the first ILO-training that has been arranged in the Baltics in at least fifteen years. The training was inspired by a project that the Council of Nordic Trade Unions, NFS initiated in 2016, to determine if ILO core conventions and tripartite cooperation are being followed in the Baltic countries, and that was carried out in cooperation with colleagues from the Baltics. The final project report was published in November 2017 and it raises a number of concerns with regard to compliance with especially the Freedom of Association and Protection of the Right to Organise Convention (C87) and Right to Organise and Collective Bargaining Convention(C98). The project showed, among other things, that all countries still have restrictions on what can be negotiated through collective bargaining in public sector. There also appears to be a lack of dispute-settlement mechanisms in cases of strikes – Two observations that warrant further discussion and evaluation by experts. Problems of access to justice and enforcement of law also exist in the Baltics, even though they look different in the countries. In Estonia there is no institution to turn to in cases of infringements on labour rights and in Lithuania legal procedures concerning labour law have in some cases been complicated to the extent that they have been rendered useless. All countries also have examples of cases that could most probably be submitted to the ILO supervisory machinery, if the relevant parties would step forward. NFS continues cooperation with the Baltic Trade Union Confederations on developing fundamental workers’ rights. During 2018 a task force has been appointed to develop a time-bound action plan for Nordic-Baltic cooperation on fundamental rights. The overall goal is to ensure a positive development for workers in the Baltic Sea region and a sustainable future working life. The training in Lithuania is an excellent example of international cooperation and competence and capacity building between ILO and trade unions to strengthen fundamental workers rights in the Baltic Sea region.